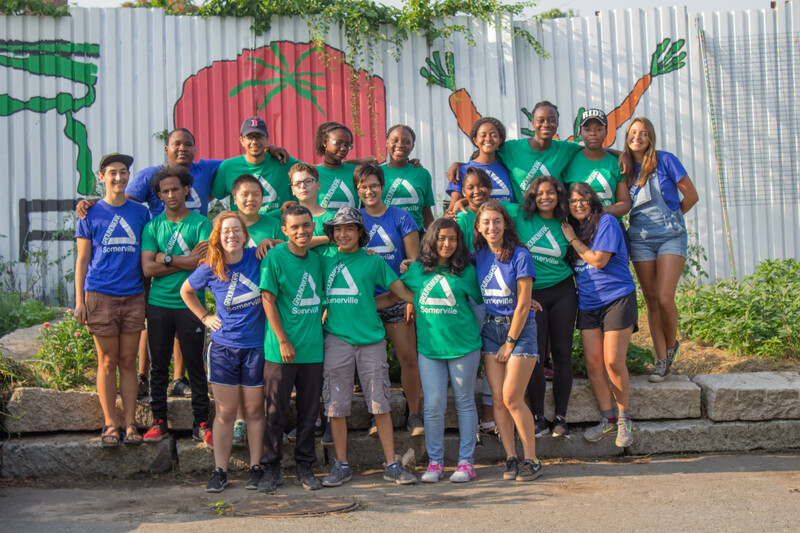 The application deadline for Cambridge resident youth has been extended to Wednesday, April 24th, 2019 at 11:59 PM. 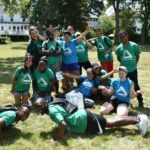 Apply at bit.ly/greenteam2019. The regular deadline has passed. You may still submit an application, but you will be added to the wait list and only contacted if space on the Green Team becomes available. 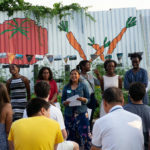 You can apply for the wait list at bit.ly/greenteam2019. 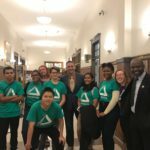 Scroll down for more information about the Green Team. You can also print out this flyer and this information sheet to share. 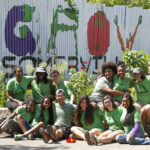 Urban Agriculture: Learn to grow food at our urban farm and school gardens. 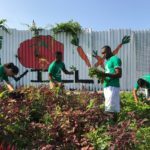 We will be planting, weeding, harvesting, selling produce and more. 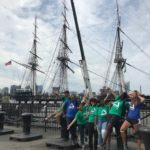 Environmental Justice: Help restore, maintain, and design green spaces like the Mystic River waterfront so that all community members can access outdoor recreation. Civic Engagement: Practice public speaking, facilitation, and leadership skills. 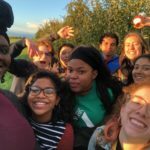 Host community events, support food access initiatives, and learn about advocating for racial, economic, and other forms of social justice. 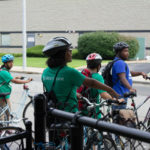 Biking: Learn how to safely ride a bike and travel around Somerville by bike with the Green Team. Be ready to get dirty, sweaty, and in shape! 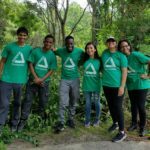 The Green Team works for 7 weeks in the summer: Monday, July 1st through Friday, August 16th. We work every Tuesday, Wednesday, Thursday, and Friday from 8:00 am – 1:00 pm. We also have required orientation sessions on both: Saturday, June 15th and Monday, July 1st. All Green Team members are expected to attend work every day during the seven week summer. Let us know if you have any commitments during this time. 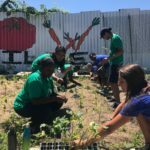 Green Team members are also required to work 2-3 farmers market shifts over the course of the summer on Friday afternoon or Saturday. We meet every morning at South Street Farm, 138 South Street, Somerville. South Street Farm is on the Somerville/Cambridge line between Union Square and Inman Square. 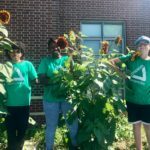 We will travel by walking or bike to other work sites in Somerville and the surrounding cities, including school gardens, parks, and the Groundwork Somerville office in Union Square. 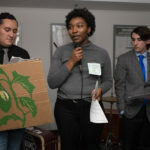 Fill out the Green Team application at bit.ly/greenteam2019 by Monday, April 8th, 2019 at 11:59 PM. Once you submit this application, we will contact you with our dates for a required in-person, group interview which will take place the first week of May. If you cannot fill out the application online and need a paper application please contact us ASAP (by March 25 at the latest). Ready to apply? Go to bit.ly/greenteam2019 and submit your application now! If you want to receive more information about the Green Team but do NOT yet want to apply, you can fill out this interest form. You can also follow us on facebook, instagram, and twitter for updates.